Department location changes: how will this affect students this fall? Chances are, your major’s department might be moving to a new location this fall. As students return to classes on August 20, schedules will likely appear different from year’s past. The need for these changes reflects the growth of enrollment, which has had an all-time high 4,462 students. Lumination’s Abbi Scott sat down with Kim Chaudoin, the university’s asst. vice president of public relations and communication, to determine all the changes affecting students this year. The art department, which has previously resided in the James D. Hughes Center, will be transitioning into Ward Hall, located near the McFarland Science Center that is home to the college of Liberal Arts & Sciences and the Institute for Sustainable Practice. With the art department leaving the Hughes Center, the physician’s assistant program will now be calling the James D. Hughes Center home. 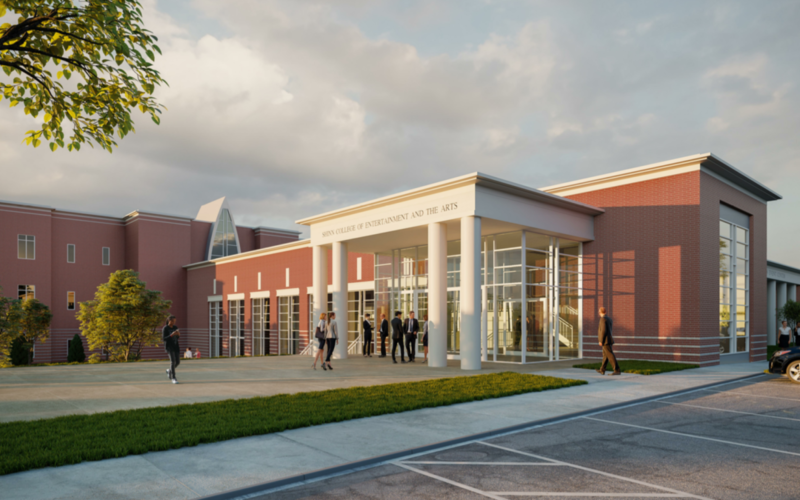 The fashion department is also set to move into the George Shinn Event Center and out of the James D. Hughes Center once construction is completed. In addition to the art and fashion departments moving, the psychology department will also be relocating to top floors of the Ezell Center. The film department will also be temporarily moving into the Ezell Center, until the George Shinn Event Center is complete. The film department previously resided in the lower level of the Sewell Residence Hall, which still remains home to the Admissions Department. With these two departments transitioning into the Ezell Center, the communications department will be making a few slight changes. The previous journalism computer lab will be relocated to a room across the hall, and a new film studio for the film department will take its place. However, the news studio will remain in its current location, so the film and news studio will be next door to each other. Another change is the relocation of the professional studies department. This department will be moving into its own house on Granny White Pike beside the Well Coffee House. The Lipscomb Honors College will also be moving out of the basement of Elam into its own house nearby. Visit the Lipscomb website for a complete map of the university.